Johnny and I have noticed a growing trend with our generation in the workforce — we’re kind of nomadic. It used to be that you’d get a job fresh out of college, stay there for 4o years, and retire with a sweet pension plan. And if you chose instead to switch jobs often, you were seen as irresponsible or unreliable. But now it seems the times have changed. When we started averaging a move every year or so for Johnny’s career, I thought it was just because that’s how things rolled in the advertising world. Employees hopped from one agency to the next every couple of years in order to move up the ladder and get a raise. And if they stuck it out at one agency for a long period of time, a substantial raise was harder to come by. But it seems the advertising industry isn’t the only one that works this way. Unbeknownst to us, most of our peers frequently switch jobs, too. And I think it’s for the same reason — because new companies are more willing to show you the money. Johnny and I recently read a Forbes article that gave some pretty compelling data for switching jobs more often. It stated that if you stay at a company for more than two years on average, you’ll make 50% less over the course of your life. 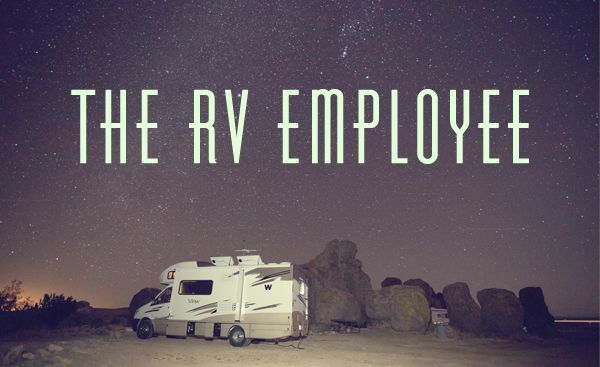 If that’s really the case, should we all just buy RVs and embrace this transient work culture? Sounds kind of crazy, right? But if you take Johnny and me, for example, the data rings pretty true. I worked at the same job for 4.5 years. The pay wasn’t great, but since I was able to work from home, I stuck to it. I was always a reliable employee, and my managers always gave me positive feedback on my work. Despite that, I only averaged a 3-4% annual raise. While I was being a the most loyal employee you ever did see, Johnny was hopping from agency to agency. And each time he accepted a new position at a different company, he received a significant raise — much more than my annual 3-4%. From our perspective, even though Johnny’s decision to switch jobs regularly was more risky and less stable, it was a better financial move. Despite our personal experience, switching jobs isn’t really something we’d like to do for the next 30 years. We’d like some stability — hopefully sooner than later. So we’re curious. Does this ring true to you? What do you think has caused our generation to switch jobs more often? Part of me wonders if employers are less willing to make it worth an employee’s time to stick around. To us, the workforce seems more transient. Does it seem that way to you, too? As someone who dreams of the day when we can put down roots and live in one place for years and years, I’m not sure how I feel about this new, nomadic workforce. Is the dream of raising our kids in one town for their whole lives a thing of the past? Whuddya say? One thing the last generation had to consider when changing jobs that we don’t is a pension! The goal was to stay with the company to max that benefit. Companies don’t really provide the same benefits they used to. Thanks to high taxes and billions spent on labor compliance and hr compliance they have other areas requiring spending. Employees are mostly replaceable. Great points. Benefits just aren’t what the used to be. Pensions are becoming as rare as a $2 bill! So funny – my mom and I were just talking about this last night. Even though I think the scenario you described is 2 generations ago (at least for young’uns like me), with a sort of hybrid for my parents’ generation, it is very difficult for me to shake those standards. I was in an interview a couple days ago and was asked, “Where do you want to be in 1-2 years?” and I had to keep from blurting out, “HERE!” I specifically asked them if they had concerns that my resume showed a shift every 2 years, and they said it was very normal and not concerning at all. I’m like you, Joanna, I have a pre-conceived notion of success equaling (geographic? professional?) stability, and that’s what I want. While I have yet to hear my biological clock ticking, I do hear the emphatic tick-tock of paying off a mortgage before retirement – that takes 30 years to pay off – that means I have less than 5 years to buy a house – that means I need more than my current balance of $46 in my savings account. Eurgh. I better leave before I work myself into an emotional tailspin! However, I will send my awesome, eloquent momma this way to check out this post; it is super serendipitous that you posted it now! It’s kind of crazy how much it’s changed since our grandparents’ generation! And glad to hear there are other people who crave stability, too, Alix! I don’t know when we’ll finally be settled, but I hope it’s not too far in the future! Awesome, Megyn! That’s great that your husband’s job offers stability. I think kids really benefit from that kind of upbringing! My husband and I talk about this all the time. Yes. I agree. We are definitely a more transient generation. Absolutely. Just within our group of friends, everyone we know is either starting a new job, in the process of changing jobs, actively looking for a new job, working towards a degree/certification in order to pursue a new job, or is trying to find a way to ‘climb the ladder’ at their current job (us included). And while I totally understand the thought process and agree that it translates into significant increases in salary over time, I’m just gonna say it: It’s also freaking exhausting. I think from an outside perspective (i.e. our parent’s generation), it makes us look like we’re discontent with our lives. Like we think the grass is always greener. For some people I do think that’s true. but I also think it takes this kind of fluidity to be ‘stable’ financially. It’s a different world. The tables have turned. It’s now riskier to stay at a job for too long (unless you are frequently advancing through the ranks at that job). When the people that you’re competing for jobs with come in carrying ‘well rounded’ resumes and you have been at the same company for say, 7 years, it makes you look (dare I say) antiquated. I don’t think that employers see loyalty, but instead see stagnation and rigidity. I also don’t think that employer are seeing employees as an asset, but rather, an expense. Perhaps that’s why they are willing to spend more on ‘fresh new talent’ instead of invest in the ‘old timers’. I don’t think all the competition is a bad thing. Competition breeds success, but I think that ‘success’ comes at a big price– stress. More than ever our careers have a huge impact on our personal lives in ways that they didn’t a generation ago. Especially for couples/parents. Can we afford to have one income? How is this going to affect the career of the parent that stays home? Should we even have a parent stay home? More and more we are having to weigh our personal goals against our ability to provide. We’re expected to not only ‘keep up with the Joneses’ of the world, we’re also expected to ‘keep up with the Jobses’ too. It’s enough to make your head spin. I think the only way to keep your head above water, is to know what you want in your personal life first, and then weigh your job/career options against it. Otherwise, every opportunity will be too difficult to pass up and you’ll spend your life following a paycheck around. I could go on, but this is probably the longest comment in the history of the internet. Agreed. It is exhausting. Sometimes Johnny and I wonder if we are just discontent because we move frequently. But a lot of it isn’t our choice! It’s kind of required in order to progress. You have no idea how nice it is to hear from other people like you who feel the same way. Seriously, your comment was like a breath of fresh air!! I read that article in Forbes as well. I think the running theme these past few years is that in order to get a substantial raise and “work your way up”, switching companies is the way to do it. I’m in a completely different boat, however. As a teacher, it makes more sense for me to stay within one school district due to “tenure” of sorts. Teachers are paid based on a salary table, so we know exactly how much we can earn based on college credits and years in service. 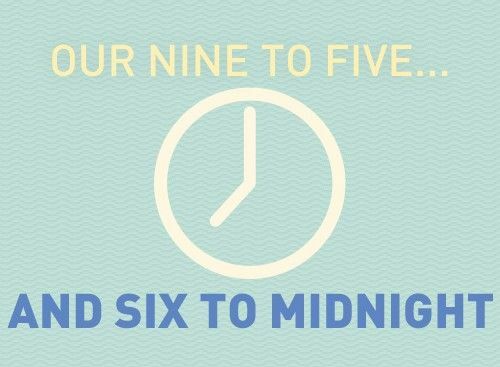 Yet, once you reach a certain number of years, other districts are less likely to give you all your years of service, which could mean a pay cut if you switch. Oh, teaching. I love it, but the pay is what it is. True. Teaching is one career field where stability still seems to reign. I don’t think we should have to trade stability for better pay. It’s craziness!! This is interesting, and certainly true for my boyfriend and I. He’s just now in his job for a bit over a year, but they encourage employees to transfer stores every one to two years, each time getting a promotion. We currently have no problem with that as we’re still young, but it worries me in regards to how I look as a potential employee. It’s comforting to know companies kind of expect it nowadays. If I could find a job working from home, I’d be thrilled. My track record isn’t amazing – so far I’ve had one job out of college that I stayed at for six months, one for a little over a year, and another for six months (though we moved away, so I had to leave). Personally, it hasn’t been about the money so much as employers not caring enough to give decent incentives to stay. At my longest job, I didn’t receive a review at all. I do think employers just kind of expect transient employees now, like you said. And I think you’re right that the lack of incentives is just as big a factor as the pay. It’s a crazy working world we live in these days! Hmm interesting. I’ve been at the same company since I graduated from grad school and began working full-time-I’m 29 years old and have been there 4.5 years. I’ve been quite satisfied with the pay, and the benefits are great! (They put 10% into retirement regardless of an employee contribution or not) They’ve also let me transfer from MA to PA 3 years ago, and now they’re letting me transfer back to MA to be closer to family. The flexibility is awesome and they’re letting me become a home-based employee once I move. I can’t think of many reasons to leave! Plus, earning more vacation time and benefits over time is great too. 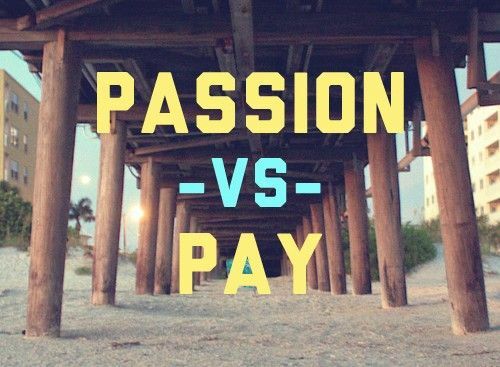 Money/bonuses isn’t everything…. Awesome, Melanie!! You’ve found a great company! Good points. I’m sure the private sector vs the public sector has much different dynamic as far as stability goes. Enjoy that stability, girl! It sounds like it’s treating you well! I’m the odd man out here I guess. I’ve been at the same job since leaving college and my income has increased by 56% in the 6. No one else would pay me what I make here because I’ve become so specialized to my specific company and industrial niche. If everything goes to plan (does anything ever go according to plan?) I’ll return from here in less than 20 years. Awesome, Andee! There are some fields and some companies that still do it right. It looks like you’ve found a keeper! Before retiring I worked in the IT industry for 12 different employers, always in full time jobs (no temp / contract work). Over that time I lived in 2 different (large) cities – but I could have easily stayed in one city if I had wished to, I’ve also worked with others who were full time contractor / consultants, who worked for agencies or for themselves on short toerm / long term contracts and who worked for many more employers than I had. Although I also worked with some who were “lifetime employees”, working for one employer all their working careers, these folks were in the minority. 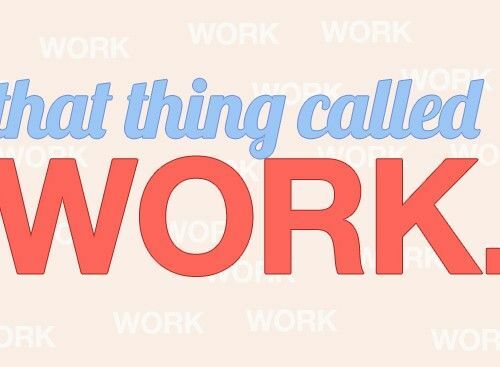 Today people look to find “work”, not to find a “job” – there is a fine difference. Build skills, build careers, but don’t necessarily plan for staying for the long haul with only one employer. It’s a known fact that company fortunes regularly go up and down. Companies that were at the top of the annual Fortune 500 list don’t, for the most part, maintain that position for very many years but eventually get replaced by other companies. This then has a ripple effect on the employment of their staffs. In general I don’t subscribe to the idea of job security. One must be constantly learning, keeping an eye out for opportunities, and not becoming too complacent in one’s job. It’s just how things are due to the global economy present today. Very interesting. I think that rings very true — that people are looking for work and not a job. You’re totally right about job security. The only person who can provide job security for you is yourself — by constantly learning and growing. Great points, Rob! I think now that jobs are not viewed as “stable positions” any longer and everyone is expendable, that makes it easier for people to constantly be looking for new positions. People don’t have a sense of loyalty to the position if they feel like their job is in jeopardy all of the time. You’re right, Michelle. That sense of loyalty has been completely thrown out the window by both sides!